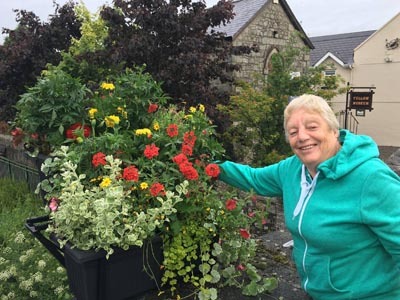 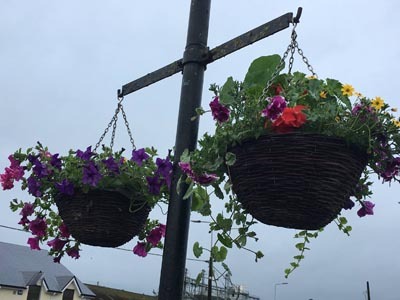 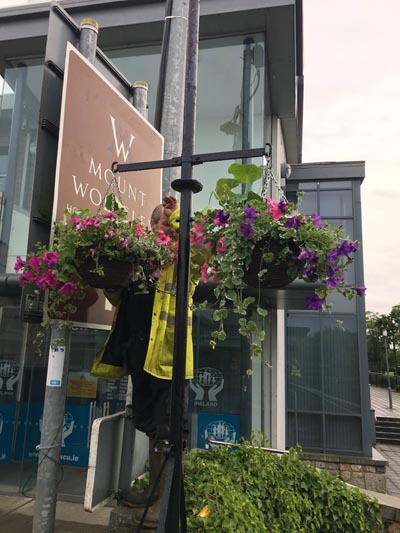 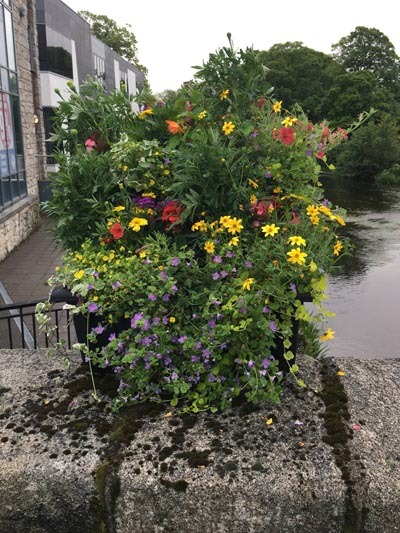 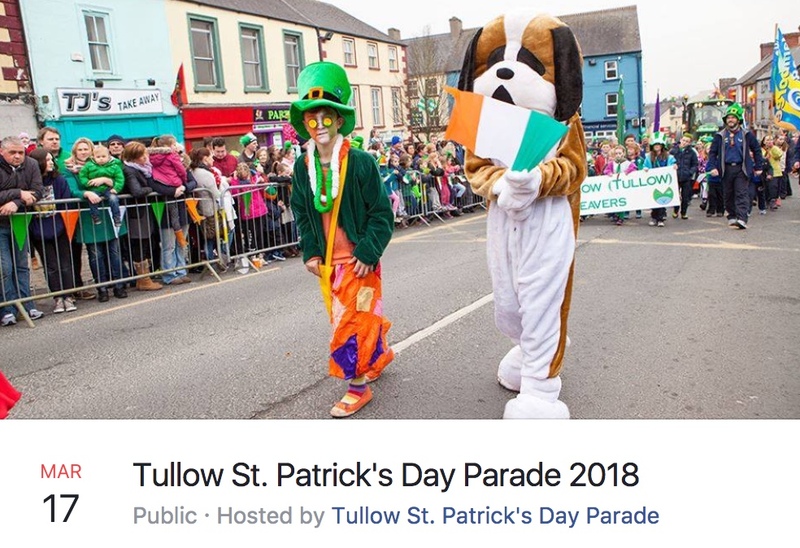 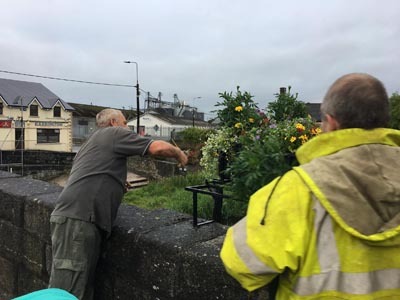 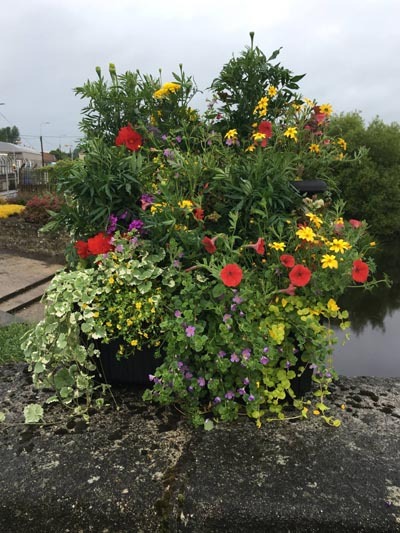 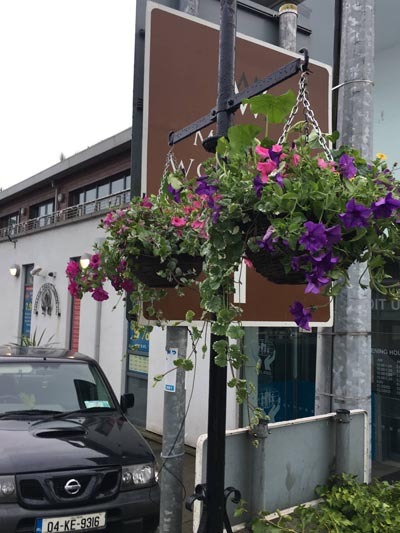 Despite the less than favourable weather Tullow, Tidy Towns Volunteers managed to get The Bridge in bloom with 12 hanging baskets and 12 boxes of flowers. 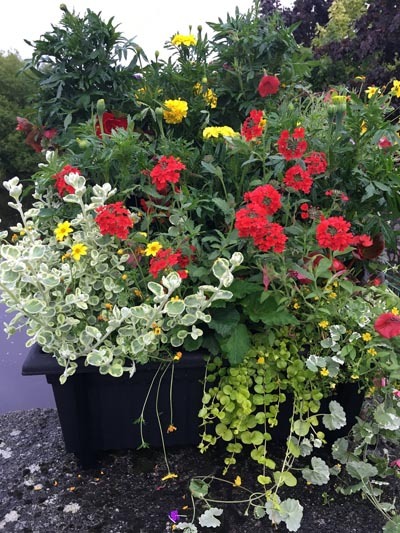 Thanks to Mary, Joey, P.J. 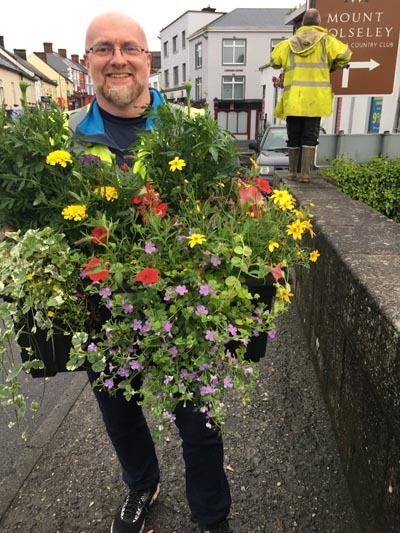 and Will for their efforts tonight.